So after building an IR remote control proof of concept thing, I came up with this idea. 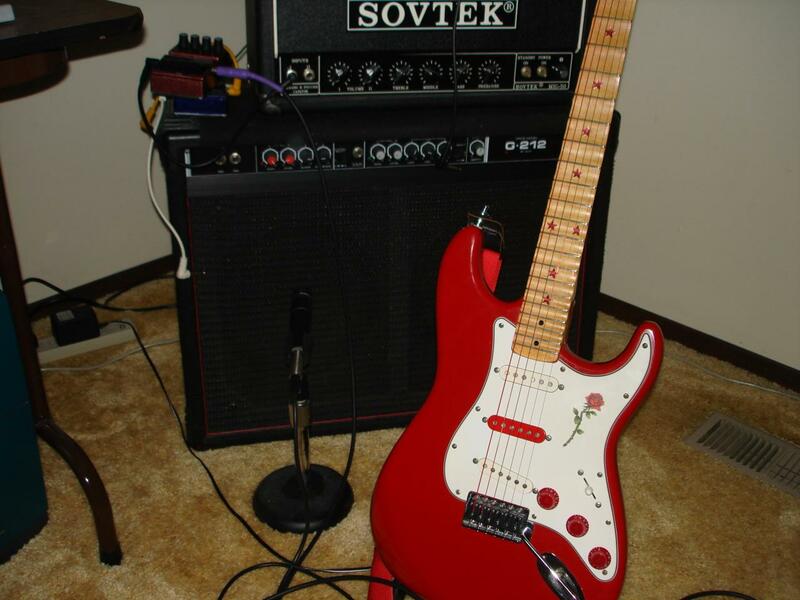 The idea is to shoot a beam of infrared light at a guitar string and detect it with an infrared detector. The idea being that the change in the reflection should mess with the signal at the frequency that the string is moving. . Connecting this to a guitar amplifier should make these changes audible. I actually thought I was being innovative here and could have created a new type of guitar pickup. Unfortunately some douchebags patented creating a guitar pickup with a photo-sensor (which looks like what I've done here, although i think what they were talking about was completely different, but luckily for them them their patent is worded very vaguely) so I'm legally not allowed to do anything with it. What makes the whole thing even stupider is the owner of the patent hasn't done anything with it either. Aren't patents great for innovation! 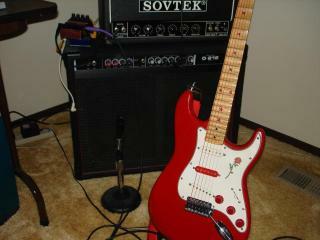 IR_Test2.mp3 - Modfied DOD FX-70 Metal-X pedal between pickup and power amp. Here is my setup for the sound files. 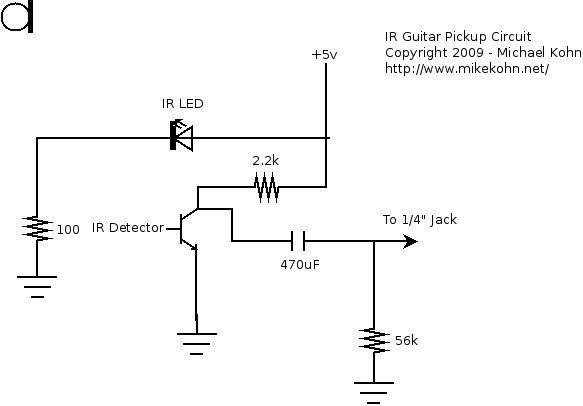 The IR circuit is placed infront of each string so that the movement of the string affects the reflection of the IR beam from the LED into the detector. The sound in the first mp3 is sent directly into the Sovtek power amp with no effects. The second sound file, the signal is processed in a modified DOD FX-70 Metal-X pedal. 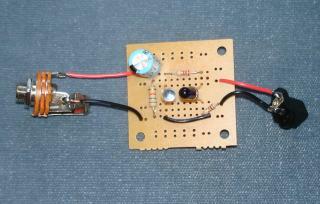 Here's the completed circuit board as it stands. Right now the circuit is just the sensor and emitter that I have to hold infront of the guitar string I want to play. I got a better package for this thing recently so hopefully I'll find time to build a new and better one with all 6 strings in a pickup package. I'll update this page when I do.